To top it off, a Republican president and a Republican Congress seem set on completing the longstanding Republican project to gut the safety net built by Presidents Franklin D. Roosevelt and Lyndon B. Johnson, which they blame for encouraging sloth, and replace it with a leaner welfare regime that closely ties government benefits to hard work. Consider what happened the last time around, when the bursting of the housing bubble pushed millions of workers out of their jobs. The Fed quickly slashed interest rates to zero. Months later it started buying billions of dollars’ worth of bonds from financial institutions to lower long-term interest rates and encourage borrowing. The Obama administration hurried to cobble together an economic stimulus package of more than $1 trillion to get money to families that needed it most. It expanded the eligibility for unemployment insurance to its longest duration ever, 99 weeks. It raised the earned-income tax credit for low-wage workers. It more than doubled the budget for food stamps — the poor’s last line of defense. The economy failed to snap back as the administration hoped. 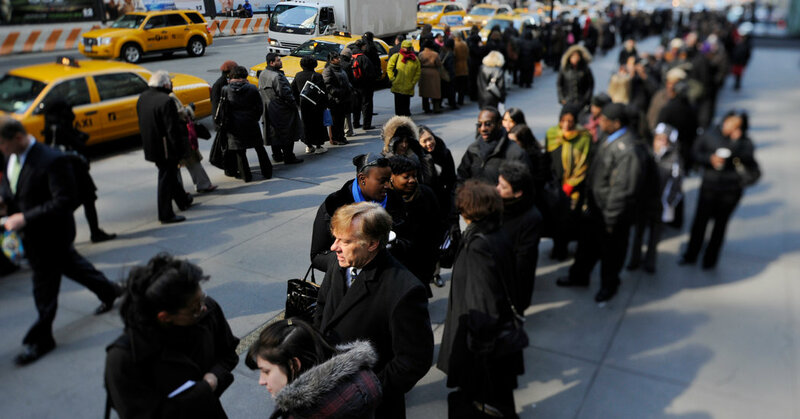 Unemployment remained at 9 percent or more for over two years. But the administration’s intervention to bolster the nation’s welfare programs made a decisive difference for millions who otherwise would have fallen through the cracks of the nation’s threadbare safety net. Using a broad definition of income and poverty that includes the effects of the complete array of government tools to support low-income families, Professors Hoynes and Bitler concluded that food stamps were critical to stem poverty. Had food stamps not been available, they estimated, the share of Americans under 65 living below the poverty line would have exceeded 11 percent in 2010, almost 1.5 percentage points more than was the case. The share of Americans in extreme poverty — with less than half the resources of the simply poor — would have exceeded 4 percent, about a third more than it turned out to be. Unemployment insurance had a roughly similar impact on poverty levels. A New Jersey shopper paying for groceries with food stamp benefits. A study found that the program was crucial to alleviating poverty in the last recession. What is critical to note is that each of the two programs did more to relieve extreme poverty during the depths of the Great Recession than even the earned-income tax credit, the main source of government support for low-income Americans. Indeed, expenditures per capita from the earned-income tax credit increased only modestly after the recession hit. And spending by Temporary Assistance for Needy Families, the patchwork of state-run programs that emerged from welfare reform in 1996 to replace the poor’s entitlement to federal cash assistance, did not respond to the recession at all. This is a problem for vulnerable Americans bracing for the next economic shock, because if Mr. Trump and his colleagues in Congress have their way, the only surviving bit of the social safety net when the next recession hits will probably require beneficiaries to work. The earned-income tax credit is likely to survive unscathed. Food stamps are not. Assiduously looking for places to cut spending to temper a growing budget deficit, the White House seems more than willing to pare the safety net. The budget it unveiled this month called for a 27 percent cut to the food stamp budget and a 20 percent cut to Section 8 housing assistance by 2028. The administration already allows states to impose work requirements on Medicaid beneficiaries to shave the program’s costs. And the latest White House budget requested a 22.5 percent cut to Medicaid and Obamacare subsidies by 2028 by repealing and replacing the Affordable Care Act. While the Trump administration is unlikely to end unemployment insurance, the Emergency Unemployment Compensation program expired at the end of 2013. In some states, benefits expire in as little as 12 weeks. Policy could change in the face of a new economic downturn, to be sure. There are plenty of places where the social safety net could be improved. The Russell Sage proposals include everything from a universal child allowance to a renter’s tax credit; from subsidizing employment to a public works program paying a living wage.